It’s a Ros na Rún Mock Wedding! 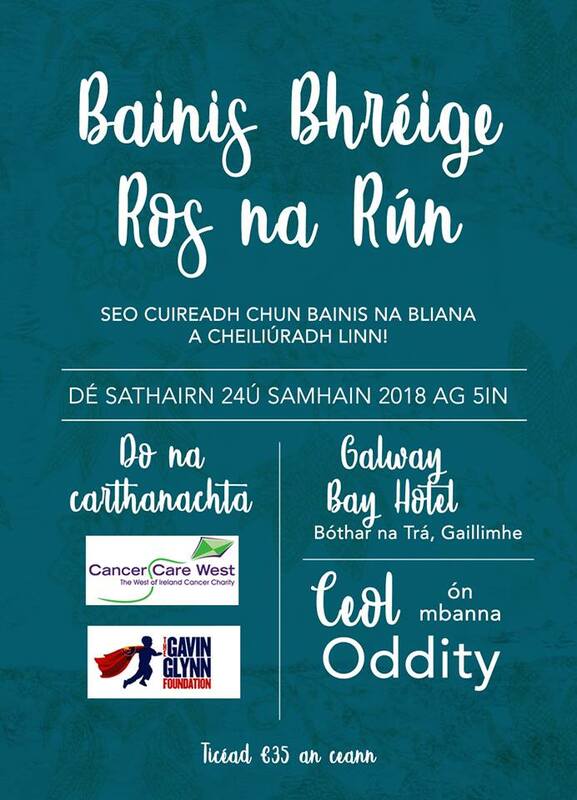 Join us on Saturday 24th November 2018 in the Galway Bay Hotel for the Ros na Rún Mock Wedding. Tickets go on sale Thursday 25th October 9.00am and are €35 each, it includes a drinks reception, a sit down wedding banquet followed by music and dancing. The band Oddity will be performing on the night. Buy tickets from the Ros na Rún reception in An Chuasnóg Spiddal. Opening hours: Thursday 25th October 9am-5pm and Friday 26th October 9am-2pm. There will also be a limited number of tickets available to buy in the shop at the Texaco garage in Casla. 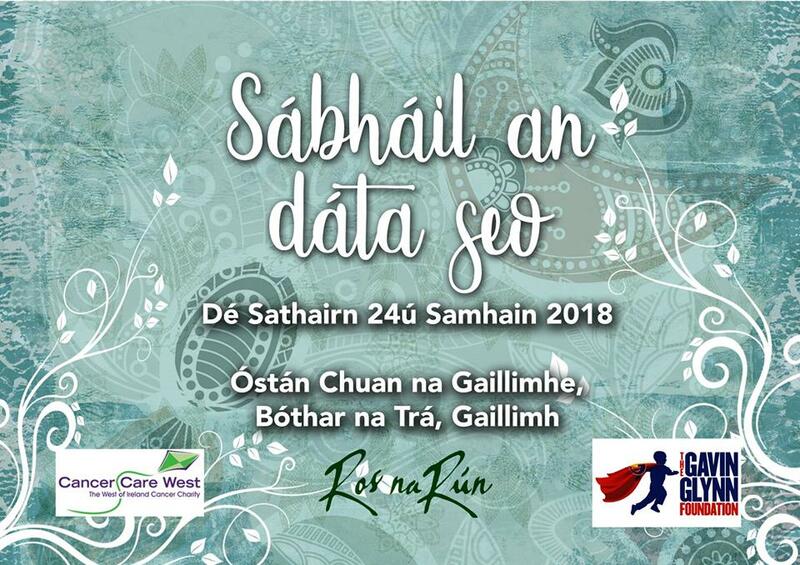 Brídín Ní Mhaoldomhnaigh, who plays Katy in Ros na Rún, is ultra excited about organising this fundraiser, scheduled for the Galway Bay Hotel on November 24. “It’s been years since we held one though we almost always hold some kind of fundraiser every year. This year we’re so excited about the mock wedding as it gives a chance for everyone to get involved. We will be staging the civil ceremony, the drinks reception and the wedding reception in the hotel using all of our skills from scriptwriting to acting to production. And of course the plot is top secret. Nobody yet knows — not even the couple — who’s getting married yet,” she says gleefully. In fact Niall Mac Eachmharcaigh who plays John Joe in Ros na Rún and is one of the longest serving actors there, hadn’t even started the script a few weeks ago but gave assurances that it would be one to remember.It’s not going to be straight forward,” he laughs mischievously. His scriptwriting skills are well honed over the years on various productions including C U Burn, a comedy series about an undertaker which was his own concept and which is now enjoying reruns on TG4. This is a day out for 400 people and the price of a ticket to the event will include a drinks reception, a sit down wedding banquet followed by music and dancing, not forgetting the drama of course. All monies raised from the ticket sales (€35 each) and raffle will go to Cancer Care West and to the Gavin Glynn Foundation which is an Irish based organisation helping families with children who have cancer. “We picked these two charities because one of the actor’s niece is currently undergoing cancer treatment and needs to travel abroad so it’s one that’s close to our hearts.